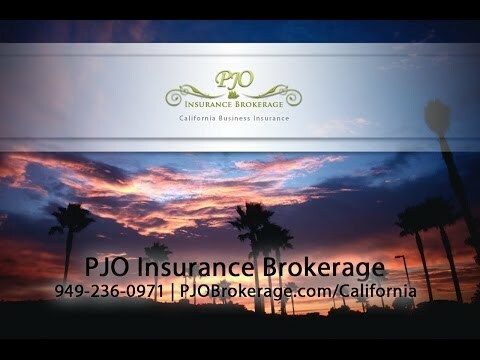 PJO Insurance Brokerage was created as an independent agency, staffed with insurance professionals, who combined, have over 50 years of experience of working with a diverse clientele in areas of General Liability Insurance, California Errors & Omissions Liability Insurance, Directors & Officers Liability Insurance, Product Liability Insurance, Umbrella Liability Insurance, OC Cyber Liability Insurance, Business Personal Property Insurance, and Inland Marine Insurance among the many insurance coverages PJO Insurance Brokerage can offer its Orange County, CA clients to better protect their companies. As an independent insurance agency, PJO can offer its clients a wide range of insurance carriers to fit their specific insurance needs. PJO Insurance Brokerage takes great pride in knowing that PJO draws on the best resources the insurance industry has to offer to deliver service and products to our valued Orange County, California clients with superior customer service and the knowledge that our clients are our first priority. PJO Insurance Brokerage carefully reviews each client’s needs to find the proper insurance for their particular business. PJO Insurance Brokerage maintains the resources and flexibility that are essential in an insurance market that constantly changes to ensure our Orange County, CA clients have access to quality insurance products and in a timely matter. Your company will work with an experienced insurance broker who is familiar with your company’s area of concern and will present an insurance plan that is tailored for your company whether you are looking to renew your California commercial general liability insurance policy or you are about to launch a new business venture in Orange County, CA. PJO has the expertise to handle your individual insurance needs. PJO Insurance Brokerage’s main objective is to see that your business is properly insured as the first step in your comprehensive business plan. We understand that no two businesses are the same, and with the numerous carriers PJO has access to, we feel confident that we can design the right insurance plan for your company. We invite you to contact us to discuss your particular Orange County, CA business insurance needs and look forward to working with you in the near future.